Carpets harbor dust in high levels. Dust, when disturbed, goes airborne, all the more making allergies worse. The best thing to do is to remove carpets and just replace it with a decorative concrete overlay or coating. It won’t harbor dust or any other allergens like pet fur, fabric fibers, and more. Decorative concrete offer coatings that have low porosity. This means it won’t have any pores or crevices where dust or dust mites could hide and thrive. 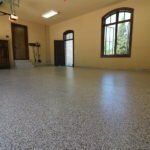 Epoxy flooring, for example, is seamless and non-porous so it keeps dust and other allergens on the surface, ready to be swept off. Other coatings can be made non-porous with a layer or two of a special sealer that keeps moisture from penetrating the surface where it could promote mold growth. 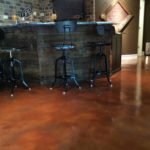 One outstanding feature of decorative concrete floors is its easy upkeep. Gone are the days when you have to scrub and wash floors often to make sure that allergens and dirt are removed. When you resurface, you are guaranteed to only need to sweep and mop a few times each week to keep the floor clean and dust-free. You won’t even have to use commercial cleaning products that could give off harmful fumes that could trigger allergic reactions. With decorative concrete, water and a bit of dishwashing soap will do. Allergies could be prevented in many different ways. By choosing the right material for your floors, you are able to cut allergy triggers by a large percentage. This means you get sick less and you spend less on medications. Now, wouldn’t that be lovely? 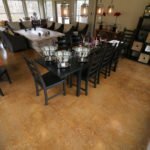 Consult a decorative concrete pro to help you choose the right flooring option for you. You can even choose patterns, colors, and textures that will benefit you and your home the most. Not only are you free from allergies, you also acquire better-looking floors at an affordable cost.